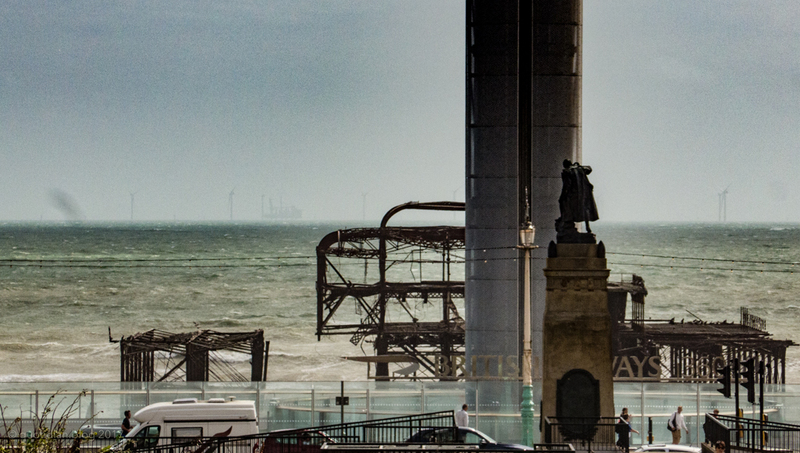 West Pier and The Sussex Regiment memorial cast iron and bronze. The BA 360 allegedly generates half of its energy consumption on descent. Off shore wind farm visible in the distance.